HotWax has always been about open source. By the time most fixed, proprietary solutions get to market, they are obsolescent. Open source gives one the power to flex and adapt to the ever-changing business environment. To do that well over time, one needs clear and consistent values, processes, and procedures that are well documented to act as a lodestar. With nearly 100 employees on four continents, HotWax represents and supports great diversity — cultural, lifestyle, spiritual, and otherwise. We do some of the same things in many different ways. Within this wonderful spectrum of interaction, we rely on some vital core principles that keep us united as an organization: respect, kindness, and plenty of fun! And when it’s all said and done, each of us knows one thing for sure: our efforts are all about the client. That’s why I’m so proud of our HotWax team for their recent achievement of ISO compliance certification. The effort demonstrates both our internal drive for continuous improvement and high quality, as well as our ongoing commitment to client success. As we improve our organization, we go further in supporting our clients’ ability to achieve their strategic business goals. HotWax Systems is proud to announce recent certification for ISO compliance for ISMS ISO/IEC 27001:2013 and QMS ISO 9001:2015. The two certifications reflect our commitment to excellence and enable us to drive business results more effectively – both for our clients and ourselves. With data being the most valuable and vulnerable business asset, mishandling is not an option. Alignment with an international standard of best practices helps to maintain compliance with GDPR and SOX, which are essential for modern business across the globe. The ISMS ISO/IEC 27001:2013 defines such standards and best practices which we have adopted for establishing, implementing, operating, monitoring, maintaining, and improving information security management systems. Compliance with ISMS ISO best practices also ensures that project delivery is optimized and post-release headaches are minimized. Risks to information security are properly managed, giving customers and stakeholders confidence in the secure exchange of information when working with the experts at HotWax Systems. Efficiency and performance are critical to profitability. The QMS ISO 9001:2015 defines the standard that ensures consistency of quality in the delivery of products and services across an organization. This standards maintenance increases performance and quality consistency, which is inherent to every project delivered by the experts at HotWax Systems. The demonstrated ability to lower cycle times through the effective use of resources translates into cost efficiencies for our clients. As the global leader in Apache OFBiz consulting, we are proud to recognize the global standards of excellence defined by ISO. Our ongoing commitment to the highest level of quality is reflected in every project that we deliver. 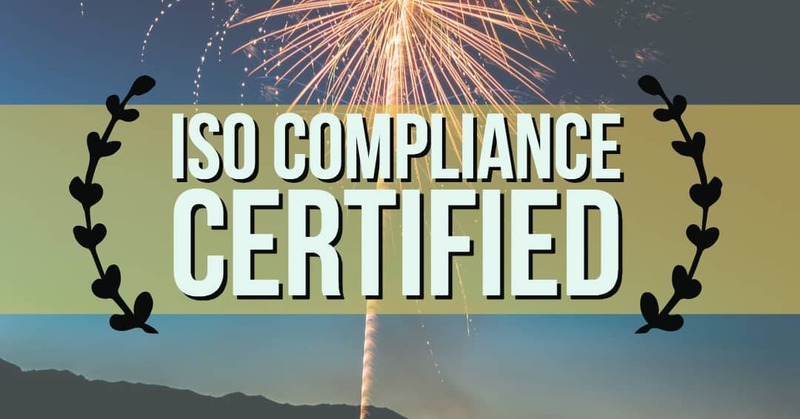 Being certified for compliance is proof that our experts are aligned with the very best practices in data security and quality assurance. To learn more about what this means for your next project, connect with our experts here.